Will the building need scaffolding? Will you remove waste materials? How can a home owner recognise when a roof system has problems? How much will my repair or re-roof cost? Yes, in some instances this will be needed, particularly when changing the type of roof covering. You need to consult your local council’s planning department or ask us for advice. Yes, we have comprehensive public liability and third party insurance, verified and approved by the NFRC. All our flat roofs are guaranteed for 10 years. We will repair any pitched roof that fails due to problems caused during installation, at no cost to you. We do not offer a guarantee on repairs. Yes, in most cases scaffolding will be required, due to government health & safety requirements. 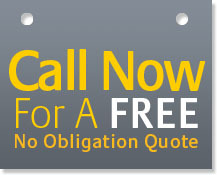 The cost will be factored into your quotation. We always make sure any access systems are made safe when we are not on site. Yes, we always make sure waste is disposed of and that your site is kept as clean and tidy as possible. Where possible we are committed to recycling materials. All too often, roofing problems are only discovered after leaking or other serious damage occurs. Yearly inspections can uncover cracked slates or tiles, deteriorated flashings, damaged timber and blocked gutters or fall-pipes. Indoors, look for cracked paint, peeling wallpaper and discoloured or “blown” plasterboard, as signs of damaged roof areas. There are too many variables to offer an online quote. We will discuss your options with you and work to your budget wherever possible.